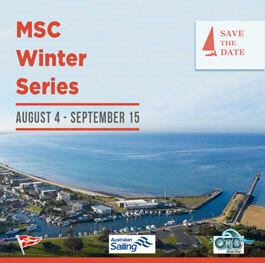 To all Mordi sailors and anyone who is interested in a sail on Saturday 19th January 2019. Our now famous Coffee Cruise IS ON AGAIN THIS SATURDAY 19th Jan. We will be leaving the beach at 10:00 am for all those wanting a quick sail up to Parkdale for a coffee and chat then a relaxing trip back to the club. Weather conditions as forecast as at: Tuesday 15th Jan. Partly cloudy. Slight (20%) chance of a shower in the morning. Winds southwesterly 15 to 20 km/h turning southerly 15 to 25 km/h during the morning.